StealStreet SS-KD-3023 Die Cast "Golf Cart" Analog Clock and Business Card Holder, 3.25"
This gorgeous 3.25 inch die cast "golf cart" analog clock and business card holder has the finest details and highest quality you will find anywhere! 3.25 inch die cast "golf cart" analog clock and business card holder is truly remarkable. 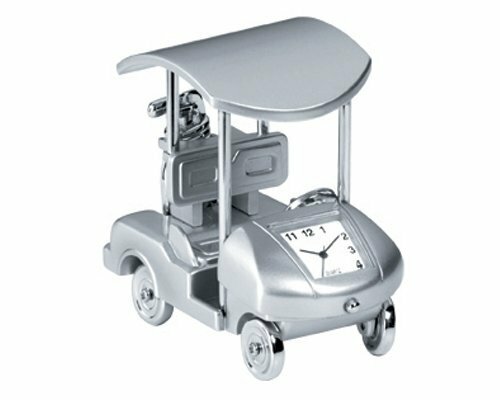 3.25 inch die cast "golf cart" analog clock and business card holder details; condition: brand new; item SKU: SS-KD-3023; dimensions: H: 1.75 x W: 3.25 x d: 2.75 (inches); crafted with: die cast metal; more Information: - made of die cast metal housing. - accurate analog quartz movement. - holds business cards. - button cell battery required (included).